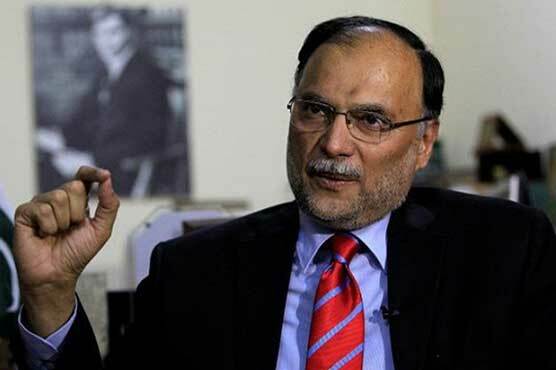 ISLAMABAD: Interior Minister Ahsan Iqbal said that China-Pakistan Economic Corridor (CPEC) would connect not only China to Europe, Africa and the Middle East but would also play an important role in regional connectivity. In an interview, he said that the mega project was a game changer for Pakistan as it would bring improvement in social infrastructure, energy, industrial development, agriculture and many other sectors. Ahsan Iqbal said that Gilgit-Baltistan (GB) and Balochistan would become gateways of CPEC. Trade zones would be set up in Islamabad, all four provinces, AJK, GB and FATA, he added. He said that Chinese and Pakistani companies would make large-scale investments in trade zones, which would not only create new jobs but also help transfer new technology to Pakistan. The minister said that enemies were trying to sabotage the CPEC project and the arrest of Indian spy Kulbhushan Jadhav had testified that fact. He said that the law enforcement agencies were providing complete security to all those working on the projects being executed under CPEC. A special force of some 10,000 security personnel had been constituted, he added.